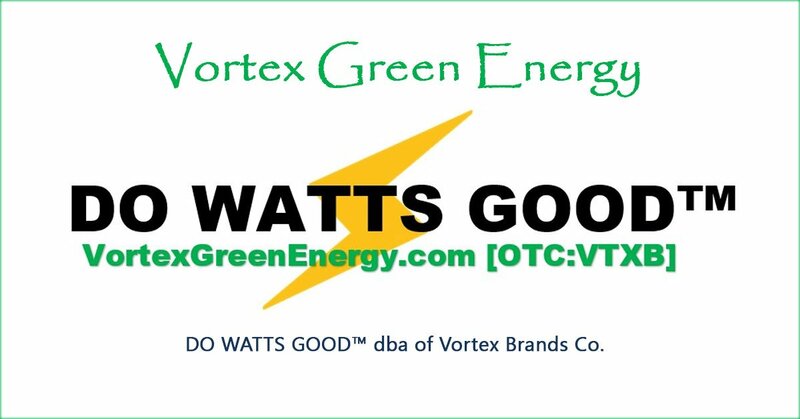 Vortex Brands Co. will provide as a service multipurpose Phase Angle Synchronization (PAS) equipment to electric utilities worldwide. PAS is a one-of-a-kind technology designed to address a one-hundred-year-old inherent problem that was thought to be unsolvable: the inefficient power consumption caused by electric motors. The solution will extend the life of the grid by protecting it from excessive wear and damage, improve grid reliability by reducing line congestion and increasing reserve margin, while creating true cost savings for the utility. PAS is designed to address industrial and commercial use applications in a scalable solution. Operations initially are focused in California before expanding nationwide.